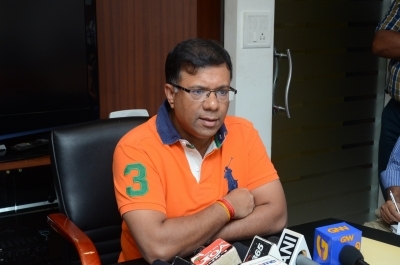 Panaji July 13 (IANS) The Chief Minister s Office is monitoring the crisis that arose on Thursday after formalin traces were found in fish being sold in the wholesale markets in the coastal state Health Minister Vishwajit Rane said on Friday. The Minister however said that the formalin content in the fish consignments was within permissible limits. Speaking to reporters in Panaji Rane said that some fish inherently contain formalin and that by speaking to the media before conducting laboratory tests the officials of the state Directorate of Food and Drugs Administration (FDA) may have ended up starting a public scare. "The Chief Minister is also monitoring the situation. I have asked for a detailed report from FDA " Rane said. On Friday after conducting raids at the Margao and Panaji fish markets the FDA officials confirmed the presence of formalin or formaldehyde -- a chemical used as a disinfectant to preserve dead bodies -- in fish consignments imported from Maharashtra Andhra Pradesh and Odisha. They sealed the fish consignments containing traces of formalin. However after conducting laboratory tests the FDA issued a statement claiming that the formalin content was within permissible limits but not before Agriculture Minister Vijai Sardesai also tweeted that the consignments were safe for human consumption. Sardesai s comments before the FDA officially released a formal statement attracted criticism from the opposition and civil society who accused the Minister of trying to pressurise FDA officials into giving wholesale fish traders a clean chit. Rane on Friday said that some fish inherently contain formalin and that there was no need to panic. "Fish also contain some formalin inside body. We will carry out regular monitoring of fish and ensure that fish beyond certain levels of formalin are not sold in Goa " Rane said.